Architect Richard Martinet of Affine Design has designed five shell-like pavilions between Avenue de la Costa and Place du Casino in Monte-Carlo, Monaco. Once they're built, the round structures with their white aluminium panels and de-mountable cells will become part of a larger restoration project of the Place du Casino. The architect aimed to create new structures that would use the same visual vocabulary as their surroundings, maintain existing paths, and conserve existing perspectives. 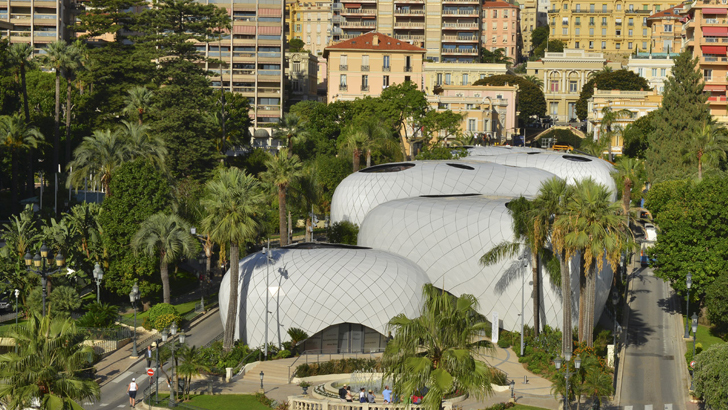 The shapes of the Pavilions Monte-Carlo provide an opportunity to renew the existing environment and create a balance between the natural setting and contemporary structures. The project is part of an urban development scheme that included the restoration and embellishment of The Hotel de Paris from 1864, and the replacement of the Sporting d’Hiver from the 1930s with three mixed-use buildings. The architect aimed to create new structures that would use the same visual vocabulary as it surroundings. The buildings maintain existing paths and conserve existing perspectives. 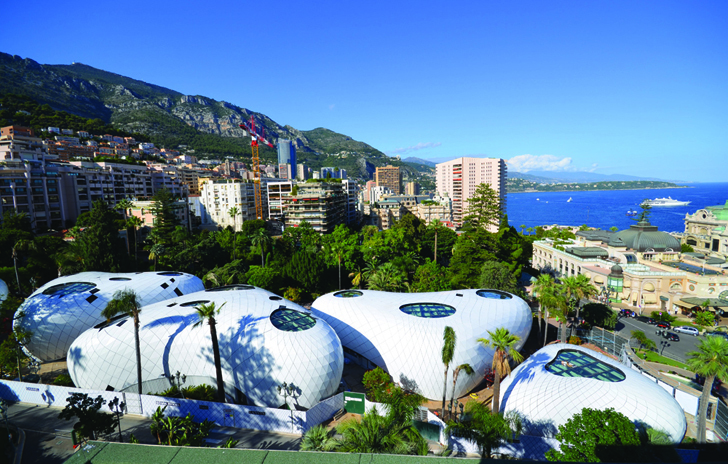 The shapes of the Pavillons Monte-Carlo provide an opportunity to renew the existing environment. They create a balance between the natural setting and contemporary structures. The project is part of an urban development scheme that included the restoration and embellishment of The Hotel de Paris from 1864. The scheme includes the replacement of the Sporting d'Hiver from the 1930s with three mix-use buildings.